This giveaway is now closed, but the recipe is awesome so keep reading! Ready for another awesome cookbook? If you have someone in your life who loves avocados, this is the PERFECT holiday gift for them. 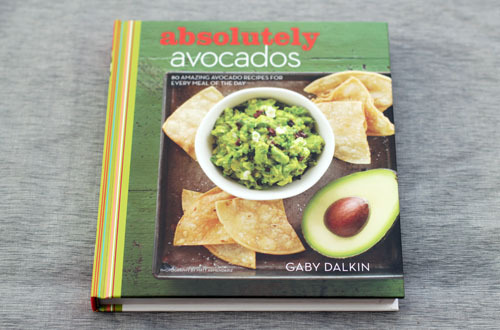 Gaby recently published her first cookbook Absolutely Avocados. The book is a great avocado resource, well designed, beautifully photographed and features all kinds of scrumptious avocado recipes, including a really delicious Caesar dressing that I love and, today’s featured recipe, brownies! 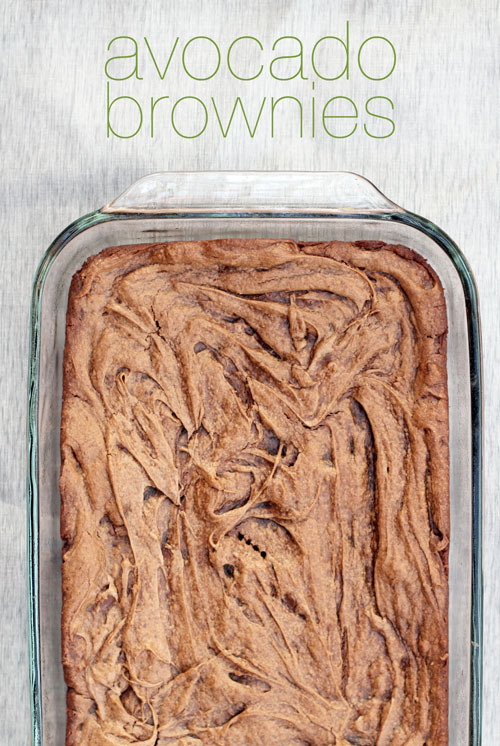 We need to talk about these brownies. They are DELISH. Super rich and fudgy, these brownies have a wonderful crust on top that actually stays crispy the next day. It’s like a brownie miracle. The brownies taste nothing like avocados and, by replacing half of the butter with a healthy avocado, a little bit of the guilt can be alleviated when enjoying this tasty treat. Since it’s the Gifts & Giveaways time of year here on This Week for Dinner, you better believe we are giving away a copy of Gaby’s book! I asked Gaby if, at any point along the way of writing her book, she got sick of avocados. She exclaimed, “Of course not! I love them!” That is one dedicated woman. Say What? is right!! I’m going to try this yummy recipe. I have a feeling people outside of California think we’re crazy. We put avocado and olive oil on EVERYTHING! I’m a FB follower now. I love avocados! Excited about this book! These look delicious! I’m definitely going to try them. Leaving a comment, thanks for the opportunity! Say what?!! This is a must try for my family! I would love to win, I’m obsessed with avocados! I can’t get enough avocados! Thanks! I want to try these soon!! This sounds very interesting, and I can’t wait to try them! I am also a Twitter follower too! Oooo. Those brownies really do look fudgy and rich. YUM! I’m a FB follower too. I’m glad that you mentioned that there’s no avocado taste to the brownies. It was the first thing I wondered when I saw them. And one more for Twitter. I buy avocados by the bag, so this would be great! I have been wanting her cookbook for a very long time, would love to win! I follow you on Pinterest. (and I meant in the last entry that I LIKE you on fb). These look awesome….I am avocado lover! Hope I win this. Thanks! I can’t wait to try this recipe! I never would have thought to make brownies with avacados. 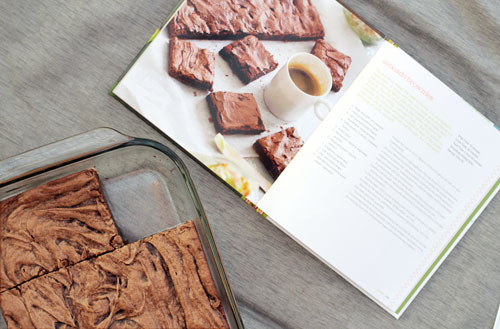 Those brownies look amazing. Thanks for the giveaway! I just love Gaby and would love a copy of her book. Followed on Facebook and Pinterest! Can’t wait to try these. We love avocados! I eat avocado everyday!!! Always, no matter what!!!! Sounds yummy! Can’t wait to try this recipe. Thanks for sharing! Thanks for this giveaway. This looks awesome. Thankful for the love of my family and friends this Thanksgiving! Love all your recipes and giveaways! I LOVE a crispy topped brownie, crispy edges too, so I like the corner pieces. Great looking cookbook! What a innovative recipe to incorporate the nutrients of avocados into sweets. Can’t wait to try this recipe! Looks delicious! you know, fran, I’m not sure if that sub would work. I’m going to ping gaby and see if she ever experimented with that when developing the recipe! just talked to Gaby -she has not tried other sweeteners in this recipe. 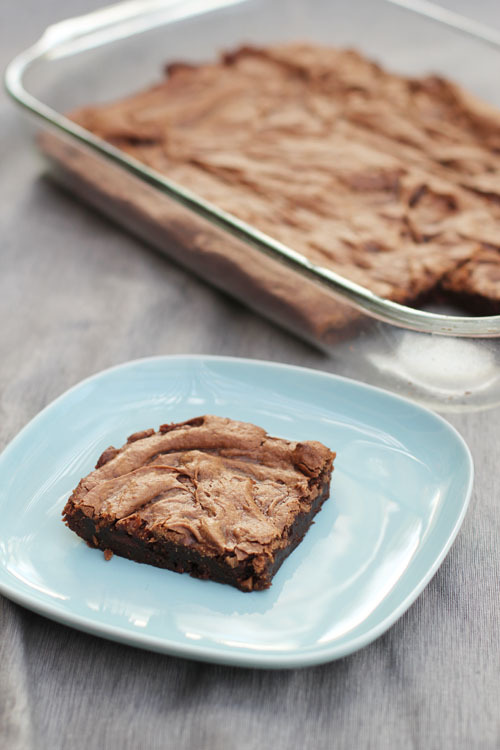 she had the same gut feeling I did – I think it would totally change the consistency, and the brownies are already on the chewy gooey side, so I don’t know if it would work. but, if it makes you feel better, your body reacts to all those sugars pretty much the same 😉 I know white sugar is more refined – if you want to sub for something more natural, maybe try organic white sugar. just a thought! hope this is helpful! Avocado in brownies! I’ve never heard of such a thing!